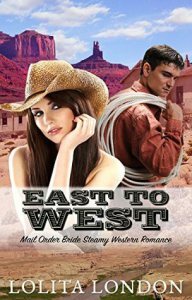 Driven to escape a painful loss, and to find the life of love and passion she yearns for, Mary Gray leaves Boston on a journey that will end with her being a mail order bride…or will it? Arriving at her destination, Mary is met not by Tom Addison, her groom-to-be, but instead by his mother, Jenny, and told meeting Tom, and subsequently their wedding, would be postponed…until after the crops were harvested. While my heart broke for poor Mary and I thought evil, mean thoughts about Jenny’s husband, James, and the importance of the annual crops was not lost on me – I found this simply hilarious!